Settled: African American Sediment, or Constant Middle Passage consists of original poems exploring race and racism in the United States. 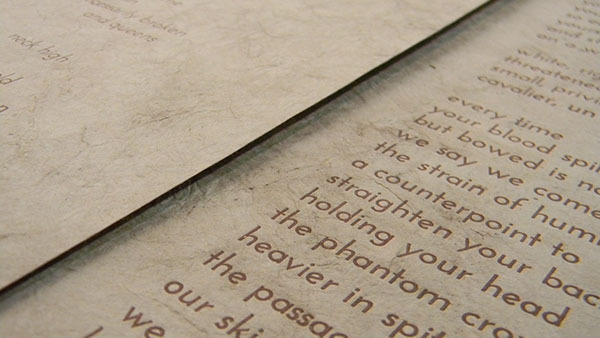 Exploring the similarities and legacy of racism across time, original and concrete poems were letterpress printed on Nepalese lokta paper and leather. 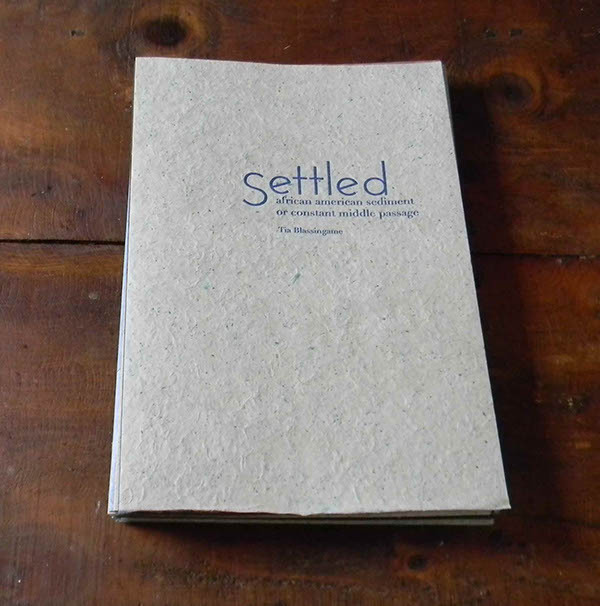 Settled is part of the artist's book collection at Bibliotheca Librorum apud Artificem, Library of Congress, RISD Art Museum, Stanford University, University of California at Irvine, and University of Delaware. 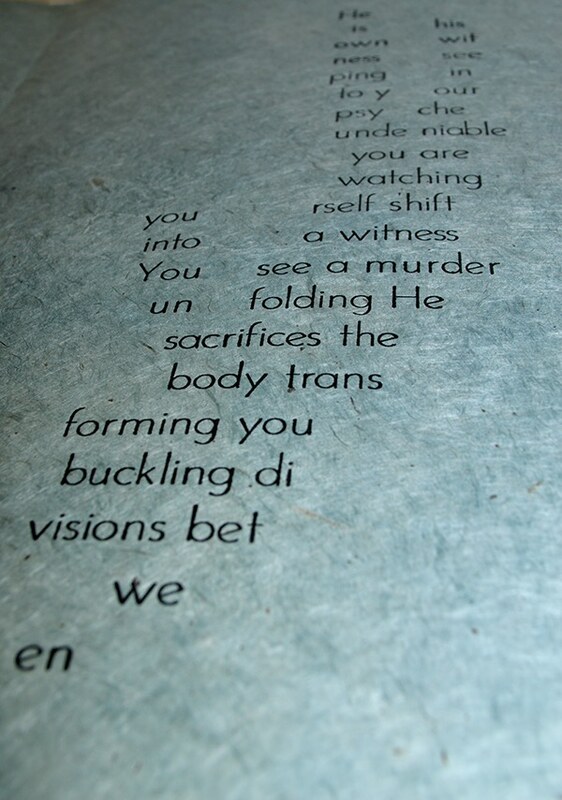 Settled: African American Sediment or Constant Middle Passage artist's book contains original poems by Tia Blassingame This artist's book is part of the artist's book collection at Library of Congress, RISD Art Museum, Stanford University, and University of Delaware.